Winter greetings from the Netherlands!! Wow! It has snowed here so much! Like 15 cm or more!! It looks like home!!!!! I made something for M’s return home from work. We went to school, but it was cut short to half our normal time. Trains and buses were going to stop running, so they had to make sure everyone could catch their bus on time. Here are some more photos of my exciting and snowy day! Lots of people still on their bikes! My school. Only three people didn’t show up for class. Lois is not liking the snow so much. Rudy and Lois venturing out into the snow. Rudy in the snow! He enjoyed being outside. Rudy sitting in the unsnowy patch. All of the laurel leaves are heavily burdened by the huge dump of snow all day. We changed our plans of going into a nearby town or city to hangout and watch fireworks and instead stayed at home and just chill out. All day long we could hear fire crackers in the distance and perhaps the getting-ready-stage-of-firework set up. 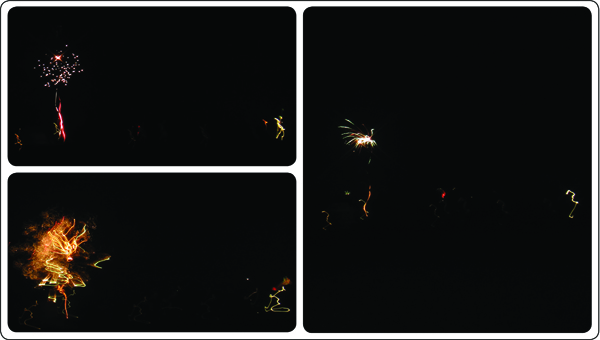 So, I thought there would be ~some~ fireworks at a nearby race track (where people seem to congregate and camp and light fireworks throughout the year) and maybe there would be ~some~ light shows in our little town. So, out we go just before midnight…champagne bottle and glasses in hand –in just light clothes and rain jackets, as it was misty. Park ourselves in the middle of the road with an excellent view of, well, everything. Then the fireworks started. From every direction! There were some being set off by neighbors, some in the German towns that we are close to, some in files and in our town. We kept twisting our bodies around to see the next display. The sky was a bit cloudy and we had no city lights around us, so the fireworks light bounced onto the clouds and lit the horizon all around us. I could not believe how many we could see! There was a light show in a complete circle around us! I told M that although we weren’t in a big city, with lots of people around and in the middle of nowhere, I thought it would be awesome to have friends with us to see this! Seriously. It was such a cool experience! I think we stood out there for at least 20 or 30 minutes and the fireworks didn’t stop and still continued as we walked home.